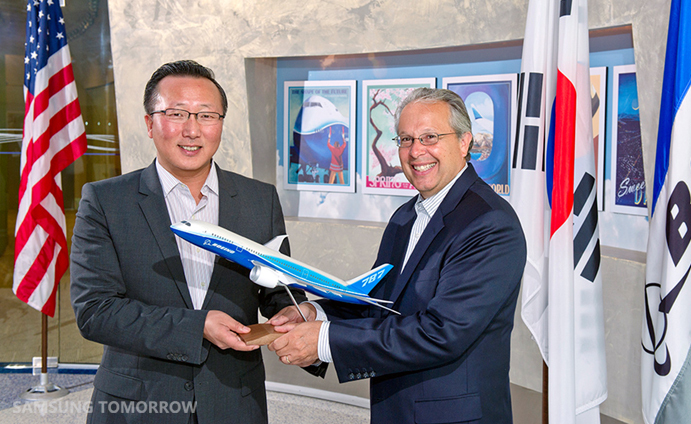 If you frequently travel by air and are over the entertainment options at your disposal, then you’ll be interested in the partnership that Samsung and Boeing have announced. The plane-maker and Korean electronics giant are pooling their collective research and technology to help improve in-flight entertainment and communications for passengers. At this stage details are fairly general and non-specific, but the two companies — which have signed a memorandum of understanding — will work to jointly develop “advanced display and wireless networking technologies” which they say will improve in-flight options for plane goers. The focus isn’t exclusively on passengers however, and the objectives also include an aim to improve ground-to-air communications using solutions that are lighter, and therefore easier on the plane and its fuel, and require less power. The duo also say that they will work on enterprise mobility and productivity-themed collaborations which will make use of Samsung’s mobile and IT devices. We know that iPads are popular with pilots and passengers alike, so it will be interesting to hear how this particular focus expands beyond the scant details that Samsung and Boeing are both currently revealing. “We will bring our expertise in multimedia and information technology to the forefront of aviation for a richer and more fulfilling connected experience while travelling,” promised Samsung Electronics VP Bumcoo Choo, with words that make me personally hope for some kind of gaming rig, or at least a larger and more responsive LED screen in front of my chair. Neither company has provided a timeframe as to when passengers might expect updates, while, equally, the exact fruits of the union are not entirely clear. Gadgets and planes are uneasy bedfellows and, as anyone who has ever flown knows, passengers must switch off all electronics devices on take-off and landing, while ‘flight-mode’ is required to run phones and tablets during a plane’s flight. 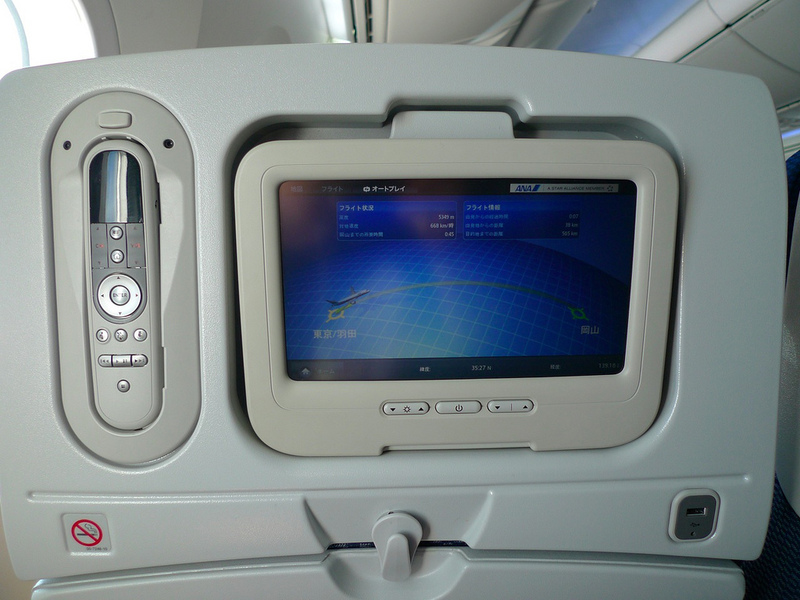 Sadly, in-flight entertainment is years behind the likes of Apple, Samsung and Google’s gadgetry, so here’s hoping that Samsung and Boeing bring us better screens, more fun and wider Internet access – but please, no in-flight phone calls.